Paper and graphene versions of kirigami. Graphene image taken using a transmission white-light optical microscope. 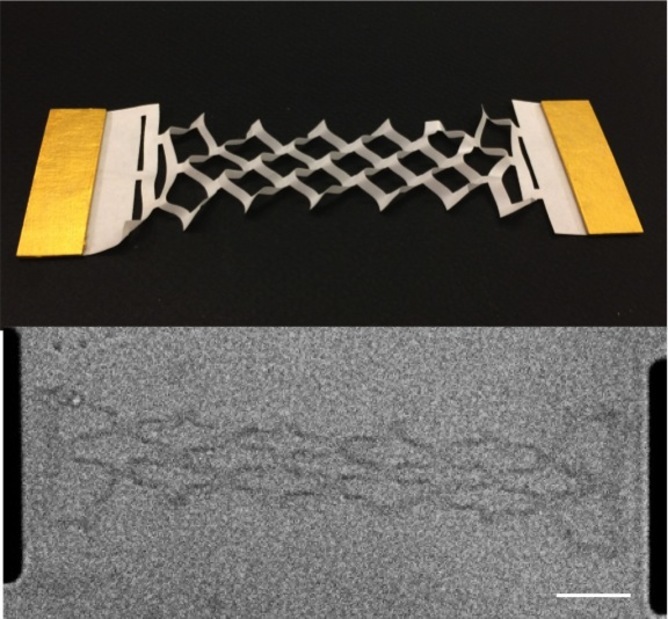 Stretchable electrodes would allow highly conformable or flexible electronics and sensors to be incorporated into synthetic skin or flesh, such as in robots or artificial limbs, while retaining full functionality. We could even visualize such flexible electrodes and sensors being used in wearable electronics incorporated into clothing for realtime personal health monitoring – the ultimate personal healthcare. Karl Coleman is Professor of Chemistry and Nanomaterials at Durham University. What Would “Cyborg” Mean If The Word Were Invented Today?